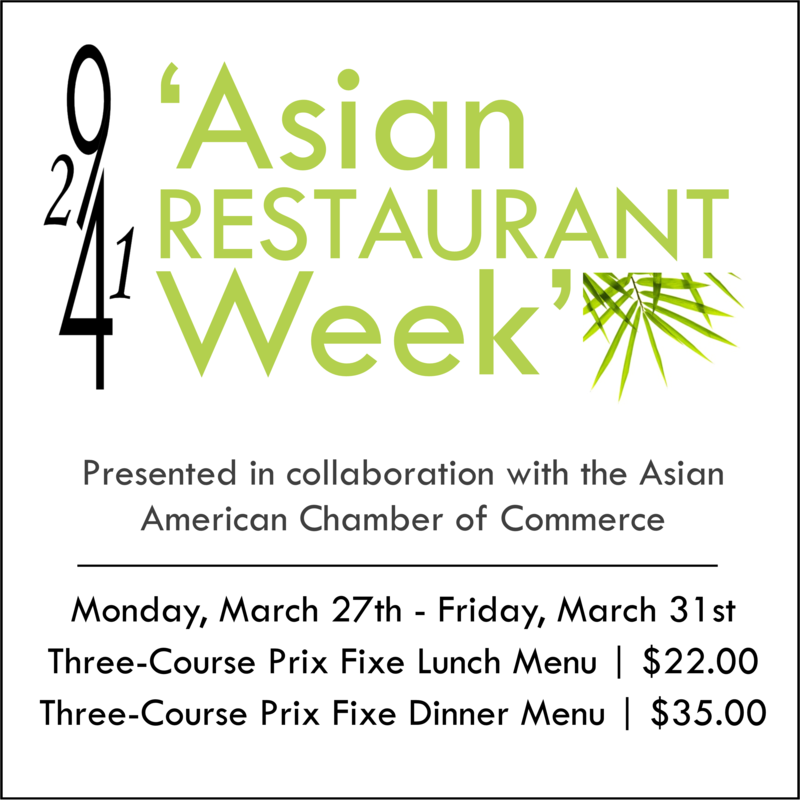 2941 restaurant and the Asian American Chamber of commerce have collaborated together to present you all with Asian Restaurant Week. The AACC is always looking for exciting new ways to connect and collaborate with our community. In celebration of joining the Asian American Chamber of Commerce (AACC), Executive Chef Bertrand Chemel and team are offering a one-of-a-kind exotic Asian Restaurant Week Prix Fixe Menu showcasing dishes inspired by the East.